Earwax might seem an annoying and useless function of the ears, but it's actually quite useful. Earwax also known as cerumen is essential for healthy hearing. Cerumen is a result of natural cleaning processes within the ears, produced by glands within the ear canals. Earwax protects the skin of the ears, lubricates, guards against bacteria, and helps clean the ears. But too much earwax can cause a buildup and issues for people, especially someone wearing hearing aids. 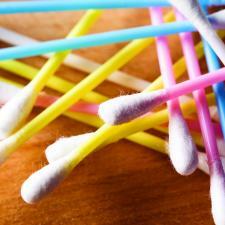 So what is the best way to clean out excess earwax? Hearing aid wearers have more issues with cerumen, because the wax may have a difficult time leaving the ear canal naturally. Earwax is beneficial. It is self-cleaning, protects the inner ear, moisturizes the ear canal and has anti-biotic properties, i.e. germs don't get through. Believe it or not, there are very few times when a person should attempt to clean the wax from their ears. That's because many of the products on the market today can cause more damage than good. Cotton swabs, ear candling, and irrigators are all examples of devices people use to clean the wax that can cause the wax to become more imbedded. "Approximately 12 million people a year in the U.S. seek medical care for impacted or excessive cerumen [earwax]," Richard Rosenfeld, MD, MPH, Chair of the AAO-HNSF Guideline Development Task Force. Typically the best practice for normal earwax is to leave it alone, but according to Dr. Jeanne Ward of Premium Hearing Solutions, "Excessive earwax must be removed." Hearing can be compromised by earwax, and the best practice for safe removal is to see a hearing health professional. People who wear hearing aids should be examined regularly for impaction that can cause feedback, limit hearing and cause damage to hearing aids. Ear wax can cause temporary hearing loss and 80% of the ear canal's diameter can be blocked. Below are a few telltale signs for when to see a professional to have earwax removed. According to Dr. Ward, "If the earwax is packed hard and deep, over-the-counter earwax products, like Debrox, Murine Ear Drops, or Audiologist's Choice can be used to soften it prior to professional removal." Home care should NOT include: cleaning the ear with a cotton swab, oral jet irrigators or ear candling. These practices invariably do more harm than good. See your doctor for regular visits and a safe ear cleaning. In order to keep good hearing health care, you need to remember cleaning your ears is not a do-it-yourself project like brushing your teeth. Your ears will take care of themselves under normal circumstances - no maintenance needed, but if you do need help to remove earwax, the best practices is to see a hearing health professional. Once a doctor is seen and serious issues resolved, a regular maintenance and checkup program can be begun. Dr. Ward of Clawson, Michigan suggests, "Once your ears are clean, you can try 6-10 drops of hydrogen peroxide in each ear once a month to soften and dissolve earwax. It is best to use an eyedropper, lay down on your side, drop in the peroxide and wait 5-10 minutes. Then stick a cotton ball in your ear and flip over to do the other side. Please be sure to have the approval of your physician or audiologist prior to starting this management program. Some ears may have medical issues where it is not recommended." So if you want to hear better and have continued hearing health, see your audiologists or ENT today! If you need help finding a hearing health provider click HERE to be connected with the largest network of trusted hearing health professionals in the nation!